We are a leading Wholesale Trader of stainless steel welding neck flanges, stainless steel lapped flanges, stainless steel screwed flanges, stainless steel slip on flanges, nickel alloys screwed flanges and nickel alloys welding neck flanges from Mumbai, India. Stainless Steel Welding Neck Flanges are extremely durable and are competent of managing both low and high temperatures. NeelKamal Steels is one of the leading Stainless Steel Welding Neck Flanges supplier and exporter. These steel flanges are mainly used in modern piping infrastructure, petrochemical industry, water work industry and in many other industries. Our manufactured Stainless Steel Welding Neck Flanges are available in different varieties and dimensions. The different types of such flanges are bar flanges, forged spec flanges, plate flanges and many more. Our Stainless Steel Welding Neck Flanges are of high demand in the market because they are made up of superior quality raw materials this makes us the top company in this field. Slip - on Flanges are put over pipes then they are welded on both the sides in order to avoid leakage. Weld neck flanges comes with hub, which lessens erosion by letting out the pressure at the foundation. Among the various flanges the most vital ones are blind flanges, spectacle flanges, and lap-joint flanges. Stainless Steel Lapped Flanges are extremely durable and are competent of managing both low and high temperatures. 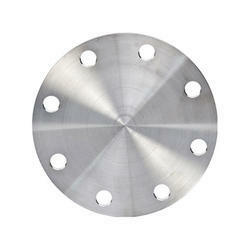 NeelKamal Steels is one of the leading Stainless Steel Lapped Flanges supplier and exporter. 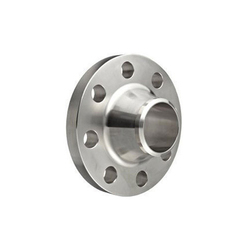 Stainless Steel Lapped FlangesStainless Steel Lapped Flanges are extremely durable and are competent of managing both low and high temperatures. NeelKamal Steels is one of the leading Stainless Steel Lapped Flanges supplier and exporter. These steel flanges are mainly used in modern piping infrastructure, petrochemical industry, water work industry and in many other industries. 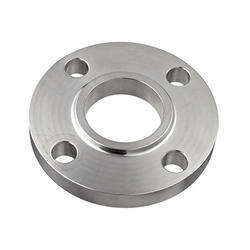 Our manufactured Stainless Steel Lapped Flanges are available in different varieties and dimensions. The different types of such flanges are bar flanges, forged spec flanges, plate flanges and many more. 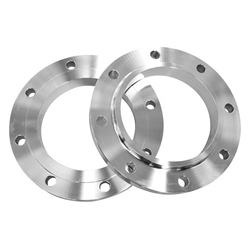 Our Stainless Steel Lapped Flanges are of high demand in the market because they are made up of superior quality raw materials this makes us the top company in this field. Slip - on Flanges are put over pipes then they are welded on both the sides in order to avoid leakage. Weld neck flanges comes with hub, which lessens erosion by letting out the pressure at the foundation. Among the various flanges the most vital ones are blind flanges, spectacle flanges, and lap-joint flanges. Stainless Steel Screwed Flanges are extremely durable and are competent of managing both low and high temperatures. NeelKamal Steels is one of the leading Stainless Steel Screwed Flanges supplier and exporter. Stainless Steel Screwed FlangesStainless Steel Screwed Flanges are extremely durable and are competent of managing both low and high temperatures. NeelKamal Steels is one of the leading Stainless Steel Screwed Flanges supplier and exporter. These steel flanges are mainly used in modern piping infrastructure, petrochemical industry, water work industry and in many other industries. 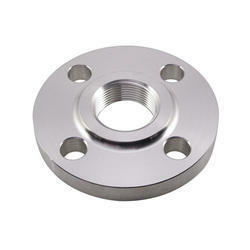 Our manufactured Stainless Steel Screwed Flanges are available in different varieties and dimensions. The different types of such flanges are bar flanges, forged spec flanges, plate flanges and many more. 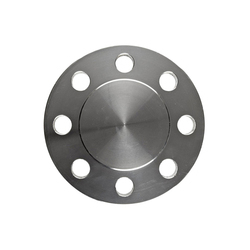 Our Stainless Steel Screwed Flanges are of high demand in the market because they are made up of superior quality raw materials this makes us the top company in this field. Slip - on Flanges are put over pipes then they are welded on both the sides in order to avoid leakage. 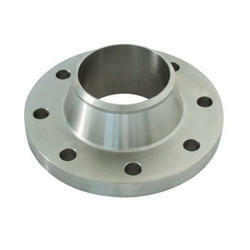 Weld neck flanges comes with hub, which lessens erosion by letting out the pressure at the foundation. Among the various flanges the most vital ones are blind flanges, spectacle flanges, and lap-joint flanges. Stainless Steel Slip On Flanges are extremely durable and are competent of managing both low and high temperatures. NeelKamal Steels is one of the leading Stainless Steel Slip On Flanges supplier and exporter. These steel flanges are mainly used in modern piping infrastructure, petrochemical industry, water work industry and in many other industries. Our manufactured Stainless Steel Slip On Flanges are available in different varieties and dimensions. The different types of such flanges are bar flanges, forged spec flanges, plate flanges and many more. Our Stainless Steel Slip On Flanges are of high demand in the market because they are made up of superior quality raw materials this makes us the top company in this field. Slip - on Flanges are put over pipes then they are welded on both the sides in order to avoid leakage. Weld neck flanges comes with hub, which lessens erosion by letting out the pressure at the foundation. Among the various flanges the most vital ones are blind flanges, spectacle flanges, and lap-joint flanges. Nickel Alloys Screwed Flanges are extremely durable and are competent of managing both low and high temperatures. NeelKamal Steels is one of the leading Nickel Alloys Screwed Flanges supplier and exporter. These steel flanges are mainly used in modern piping infrastructure, petrochemical industry, water work industry and in many other industries. Our manufactured Nickel Alloys Screwed Flanges are available in different varieties and dimensions. The different types of such flanges are bar flanges, forged spec flanges, plate flanges and many more. Our Nickel Alloys Screwed Flanges are of high demand in the market because they are made up of superior quality raw materials this makes us the top company in this field. Slip - on Flanges are put over pipes then they are welded on both the sides in order to avoid leakage. 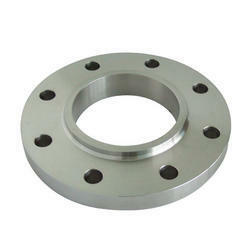 Weld neck flanges comes with hub, which lessens erosion by letting out the pressure at the foundation. Among the various flanges the most vital ones are blind flanges, spectacle flanges, and lap-joint flanges. Nickel Alloys Welding Neck Flanges are extremely durable and are competent of managing both low and high temperatures. NeelKamal Steels is one of the leading Nickel Alloys Welding Neck Flanges supplier and exporter. These steel flanges are mainly used in modern piping infrastructure, petrochemical industry, water work industry and in many other industries. Our manufactured Nickel Alloys Welding Neck Flanges are available in different varieties and dimensions. The different types of such flanges are bar flanges, forged spec flanges, plate flanges and many more. Our Nickel Alloys Welding Neck Flanges are of high demand in the market because they are made up of superior quality raw materials this makes us the top company in this field. Slip - on Flanges are put over pipes then they are welded on both the sides in order to avoid leakage. Weld neck flanges comes with hub, which lessens erosion by letting out the pressure at the foundation. Among the various flanges the most vital ones are blind flanges, spectacle flanges, and lap-joint flanges. Stainless Steel Blind Flanges are extremely durable and are competent of managing both low and high temperatures. NeelKamal Steels is one of the leading Stainless Steel Blind Flanges supplier and exporter. These steel flanges are mainly used in modern piping infrastructure, petrochemical industry, water work industry and in many other industries. Our manufactured Stainless Steel Blind Flanges are available in different varieties and dimensions. The different types of such flanges are bar flanges, forged spec flanges, plate flanges and many more. Our Stainless Steel Blind Flanges are of high demand in the market because they are made up of superior quality raw materials this makes us the top company in this field. Slip - on Flanges are put over pipes then they are welded on both the sides in order to avoid leakage. Weld neck flanges comes with hub, which lessens erosion by letting out the pressure at the foundation. Among the various flanges the most vital ones are blind flanges, spectacle flanges, and lap-joint flanges. Nickel Alloys Lapped Flanges are extremely durable and are competent of managing both low and high temperatures. NeelKamal Steels is one of the leading Nickel Alloys Lapped Flanges supplier and exporter. These steel flanges are mainly used in modern piping infrastructure, petrochemical industry, water work industry and in many other industries. Our manufactured Nickel Alloys Lapped Flanges are available in different varieties and dimensions. The different types of such flanges are bar flanges, forged spec flanges, plate flanges and many more. Our Nickel Alloys Lapped Flanges are of high demand in the market because they are made up of superior quality raw materials this makes us the top company in this field. Slip - on Flanges are put over pipes then they are welded on both the sides in order to avoid leakage. Weld neck flanges comes with hub, which lessens erosion by letting out the pressure at the foundation. Among the various flanges the most vital ones are blind flanges, spectacle flanges, and lap-joint flanges. Nickel Alloys Slip On Flanges are extremely durable and are competent of managing both low and high temperatures. NeelKamal Steels is one of the leading Nickel Alloys Slip On Flanges supplier and exporter. These steel flanges are mainly used in modern piping infrastructure, petrochemical industry, water work industry and in many other industries. Our manufactured Nickel Alloys Slip On Flanges are available in different varieties and dimensions. The different types of such flanges are bar flanges, forged spec flanges, plate flanges and many more. Our Nickel Alloys Slip On Flanges are of high demand in the market because they are made up of superior quality raw materials this makes us the top company in this field. Slip - on Flanges are put over pipes then they are welded on both the sides in order to avoid leakage. Weld neck flanges comes with hub, which lessens erosion by letting out the pressure at the foundation. Among the various flanges the most vital ones are blind flanges, spectacle flanges, and lap-joint flanges. Nickel Alloys Blind Flanges are extremely durable and are competent of managing both low and high temperatures. NeelKamal Steels is one of the leading Nickel Alloys Blind Flanges supplier and exporter. These steel flanges are mainly used in modern piping infrastructure, petrochemical industry, water work industry and in many other industries. Our manufactured Nickel Alloys Blind Flanges are available in different varieties and dimensions. The different types of such flanges are bar flanges, forged spec flanges, plate flanges and many more. Our Nickel Alloys Blind Flanges are of high demand in the market because they are made up of superior quality raw materials this makes us the top company in this field. Slip - on Flanges are put over pipes then they are welded on both the sides in order to avoid leakage. Weld neck flanges comes with hub, which lessens erosion by letting out the pressure at the foundation. Among the various flanges the most vital ones are blind flanges, spectacle flanges, and lap-joint flanges. 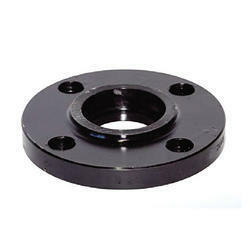 Carbon Steel Screwed Flanges are extremely durable and are competent of managing both low and high temperatures. NeelKamal Steels is one of the leading Carbon Steel Screwed Flanges supplier and exporter. These steel flanges are mainly used in modern piping infrastructure, petrochemical industry, water work industry and in many other industries. 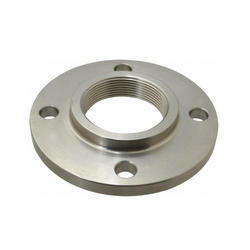 Our manufactured Carbon Steel Screwed Flanges are available in different varieties and dimensions. The different types of such flanges are bar flanges, forged spec flanges, plate flanges and many more. 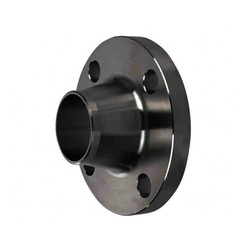 Our Carbon Steel Screwed Flanges are of high demand in the market because they are made up of superior quality raw materials this makes us the top company in this field. Slip - on Flanges are put over pipes then they are welded on both the sides in order to avoid leakage. Weld neck flanges comes with hub, which lessens erosion by letting out the pressure at the foundation. Among the various flanges the most vital ones are blind flanges, spectacle flanges, and lap-joint flanges. 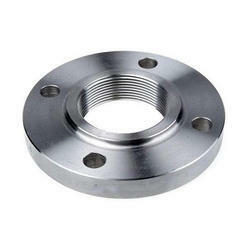 Carbon Steel Welding Neck Flanges are extremely durable and are competent of managing both low and high temperatures. NeelKamal Steels is one of the leading Carbon Steel Welding Neck Flanges supplier and exporter. These steel flanges are mainly used in modern piping infrastructure, petrochemical industry, water work industry and in many other industries. Our manufactured Carbon Steel Welding Neck Flanges are available in different varieties and dimensions. The different types of such flanges are bar flanges, forged spec flanges, plate flanges and many more. Our Carbon Steel Welding Neck Flanges are of high demand in the market because they are made up of superior quality raw materials this makes us the top company in this field. Slip - on Flanges are put over pipes then they are welded on both the sides in order to avoid leakage. Weld neck flanges comes with hub, which lessens erosion by letting out the pressure at the foundation. Among the various flanges the most vital ones are blind flanges, spectacle flanges, and lap-joint flanges. 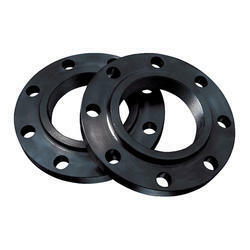 Carbon Steel Slip On Flanges are extremely durable and are competent of managing both low and high temperatures. NeelKamal Steels is one of the leading Carbon Steel Slip On Flanges supplier and exporter. These steel flanges are mainly used in modern piping infrastructure, petrochemical industry, water work industry and in many other industries. Our manufactured Carbon Steel Slip On Flanges are available in different varieties and dimensions. The different types of such flanges are bar flanges, forged spec flanges, plate flanges and many more. Our Carbon Steel Slip On Flanges are of high demand in the market because they are made up of superior quality raw materials this makes us the top company in this field. Slip - on Flanges are put over pipes then they are welded on both the sides in order to avoid leakage. Weld neck flanges comes with hub, which lessens erosion by letting out the pressure at the foundation. Among the various flanges the most vital ones are blind flanges, spectacle flanges, and lap-joint flanges.